Today I have not one, but two fabulous posts scheduled for y'all! This one is just for fun: a Tuesday Tunes playlist (because it had been waaaay too long) and an announcement that you don't wanna miss. Check back around noon today for one of our fabulous 2015 weddings! And now for the fun announcement I was talking about... We are once again having our Valentine's Day flower pop-up shop at theCakePlace this year! 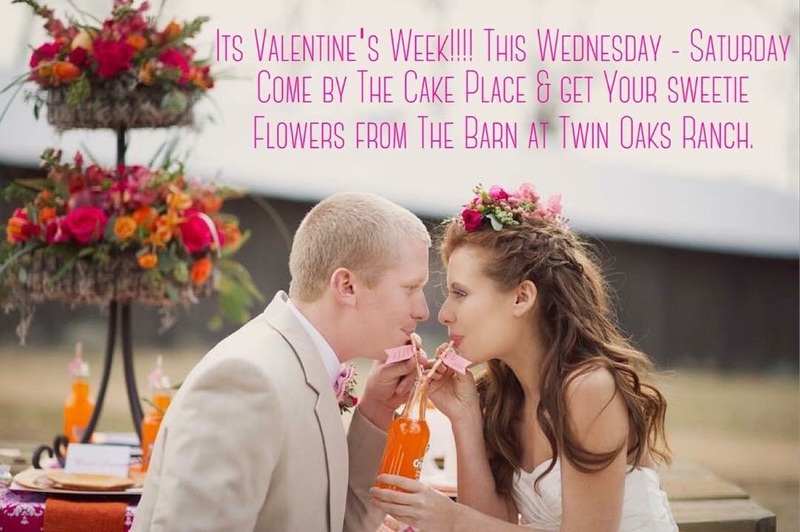 Did you know that Valentine's Day is the only time of year that you can purchase bouquets made by The Barn Team without having your wedding or event at The Barn?! It's a big, big deal, y'all! Go ahead and text this link to your love, because you're going to want some of these! You won't wanna miss the fall 2015 wedding that I'll be posting in a few hours! There were painted pineapples involved. I'm just sayin'. It was a good one!